Mastercard significantly will expand the scope and capabilities of its Qkr with Masterpass mobile payment service, the network said Feb. 27. Not only is the technology set to debut in the U.S. and five other countries, but it will now integrate with retail software provider Oracle. At the Mobile World Congress in Barcelona, Mastercard said the Qkr platform, already available to consumers in Australia, Colombia, Mexico and the U.K., will later this year expand to the U.S., Brazil, Canada, Ireland, Singapore and South Africa. 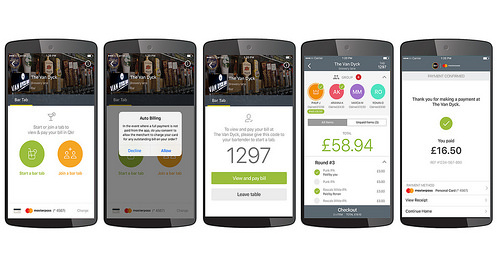 The Qkr service facilitates ordering and paying for meals and drinks in bars and restaurants, and enables consumers to pay for and split open tabs, among other tasks. Mastercard also said it will “integrate Qkr and Masterpass in Oracle point-of-sale software and systems to scale these digital payment platforms to merchants worldwide.” The partnership initially will focus on hotels, restaurants and retail stores. What’s more, retailers using Oracle and Qkr will be able to manage their fraud prevention efforts via the integrated technology. They dream of a “universally-recognised" system. Unveils pilot implementation of LitePOS solution with eService.